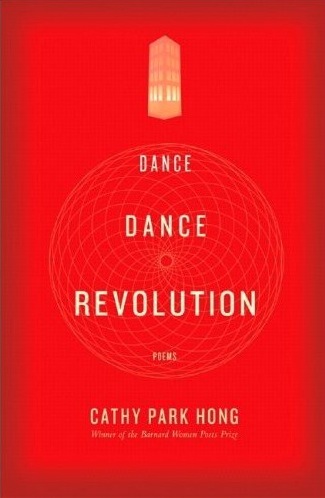 Cathy Park Hong’s collection of poetry, Dance Dance Revolution, is a linguistic masterpiece. Narrated by an Historian who is transcribing the words of a Guide in the Desert, an invented resort city, the narrative goes from English to Korean to Spanish to Latin. It explores the borders that exist in countries and in minds. It expands the scope of the reader’s world. In DDR, Hong experiments with the meaning of translation. In an interview with Poets and Writers, she says that she is interested in “cultural zig-zagging”– that translation back and forth to different cultures. I am especially fascinated by the role of the Historian in this piece, who plays the role of the translator. After a thorough, anthropological forward about how translation should work, and a disclaimer about how she had left her tape recorder in the rain and filled in the static portions with ellipses, the Historian begins transcribing the Guide’s tours and anecdotes into poetry. After each section, she translates her own experiences into memoir. This made me think about translations and how they relate to characters. Hong’s characters take on identities according to their translations. But how much of a character’s identity becomes a translation? Moreover, are Hong’s characters translations? 1) A personality invested with distinctive attributes and qualities, by a novelist or dramatist; also, the personality or ‘part’ assumed by an actor on the stage. 1) The action or process of turning from one language into another; also, the product of this; a version in a different language. 2) Transference; removal or conveyance from one person, place, or condition to another. This idea of translation as a transfer of something from one place to another mirrors the theatrical idea of character. In theater, “character” is a temporary costume and behavior, assumed by actors for the duration of a play. In the same way, translations transform one language into another, or one experience into another. Neither is a permanent change, but a temporary change, made for the benefit of the audience’s imagination. When that “cultural zig-zagging” that Hong discusses happens, the translations become a characters, and the characters become translations. The transformations are so fluid and connected, that even when all the characters (or translations, if you like), are disconnected, they are brought together by the dream of a perfect translation, a perfect understanding. I’m going to have to get my hands on a copy. Her book sounds wonderful. It is wonderful! I completely enjoyed reading it. It’s one of those books that you can’t stop thinking about.